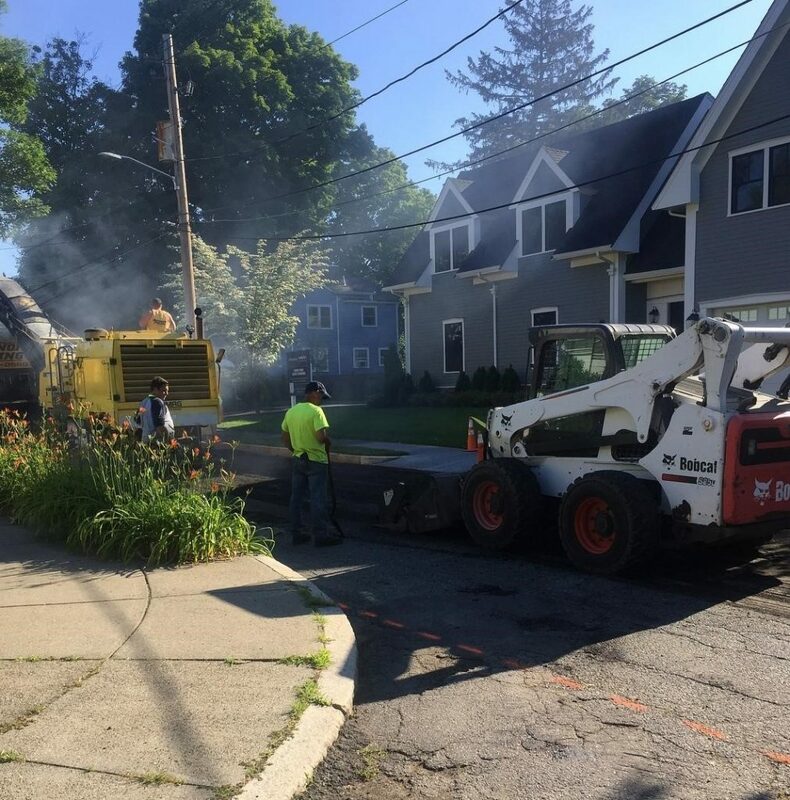 Asphalt milling is the controlled removal of the existing pavement surface to a desired depth. A milling machine grinds the top layer of the pavement down with a rotating drum of cutting teeth. 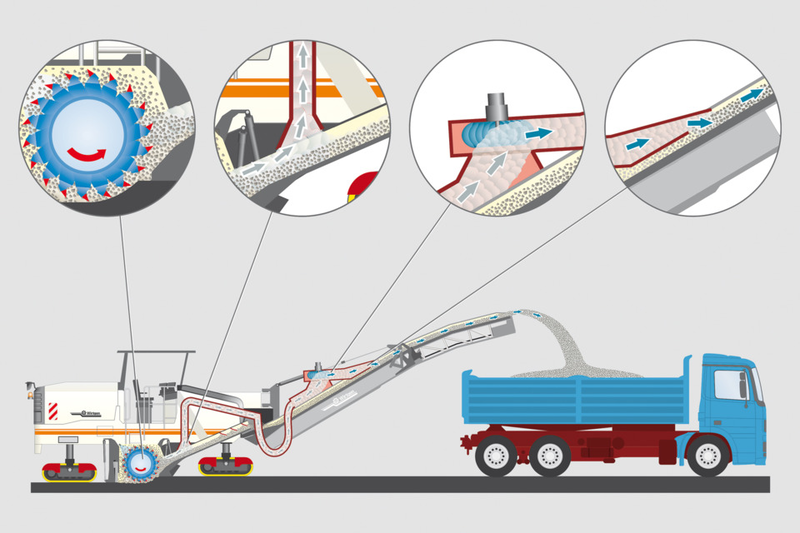 The milled material is collected and deposited onto a conveyor which deposits the material into a Tri-Axle Dump Truck. The cold plane milling machine and dump truck move in concert to collect all millings. A Bobcat with a sweeper attachment follows the milling machine, collecting any material that has been left behind. 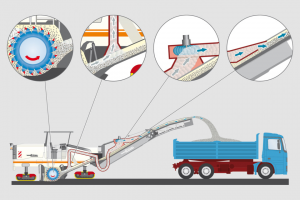 Cutting asphalt produces a great amount of heat that wears down the cutting tools and drum. Our Bomag 1300/30 has a built in water tank that constantly sprays water on the cutting tools to reduce the amount of heat produced and to reduce any airborne dust. The collected millings can be used a stabilized aggregate base, or recycled into new hot or cold mixed asphalt. 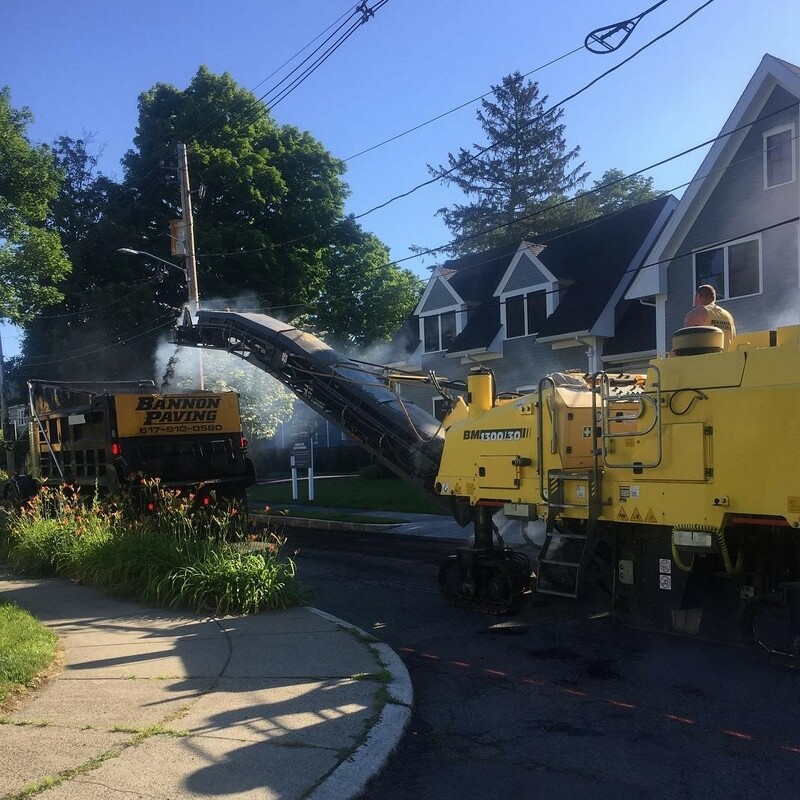 Cold planing provides numerous benefits compared to the traditional method of excavating the existing pavement and sub base. This entry was posted in Asphalt and tagged Asphalt Milling, Cold Planing.